Noah is a big boy. That big boy will be turning 5 in lesser then 2 months..
Time for a big boy room. He told me what too make, and I'm making it a bit like I want too. I hope too finish some soon..
And i'm hoping he will love it!! 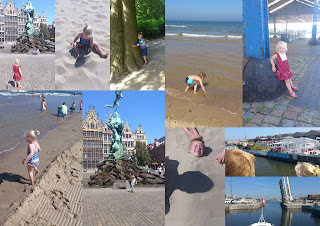 This weekend my MIL and FIL came over, we went to Antwerp, the beach, woods, eat, drink, swim, boottrip, play etc etc..,..
We had a wonderfull weekend. On facebook, I've seen some great pic's made with the mobile foon. 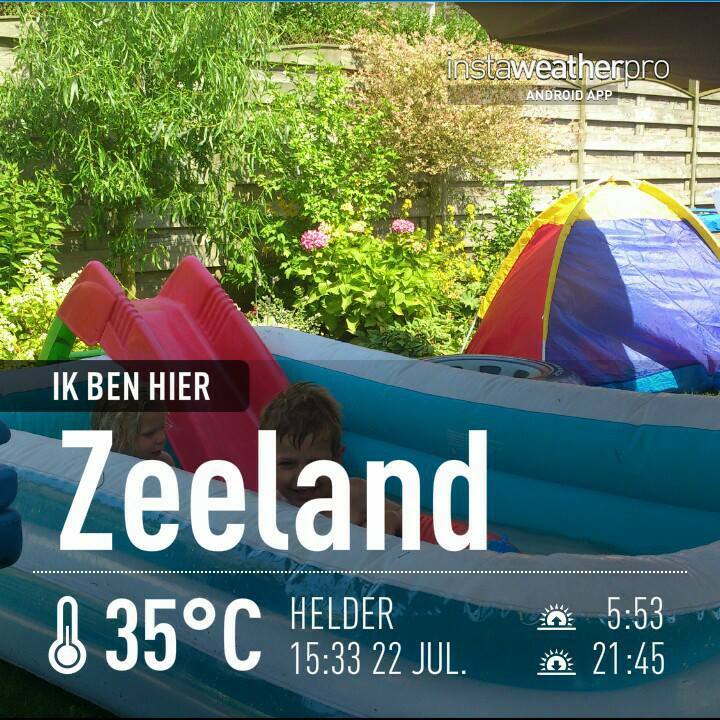 I went looking and found it..
On teh pic you see Noah and Kira in there swimminpool.. they are having so much fun!! Ps the Princess of England, is in the hospital giving birth at this moment..
What will it be, a boy a girl?????? Big boy!! It's true :) Looking for to see all you're making for his room :D so many wips! ooohh fun day at the beach :D awesome!! I miss being as small as Kira and playing on the beach :D I loved it sooo much! Had a blast everytime! wowwwwwww cant wait to see what you creating..looking something very special..
Big boy Noah is running the house now, yes? And a new Royal is born.. another boy! I can't believe Noah will be turning five already!! 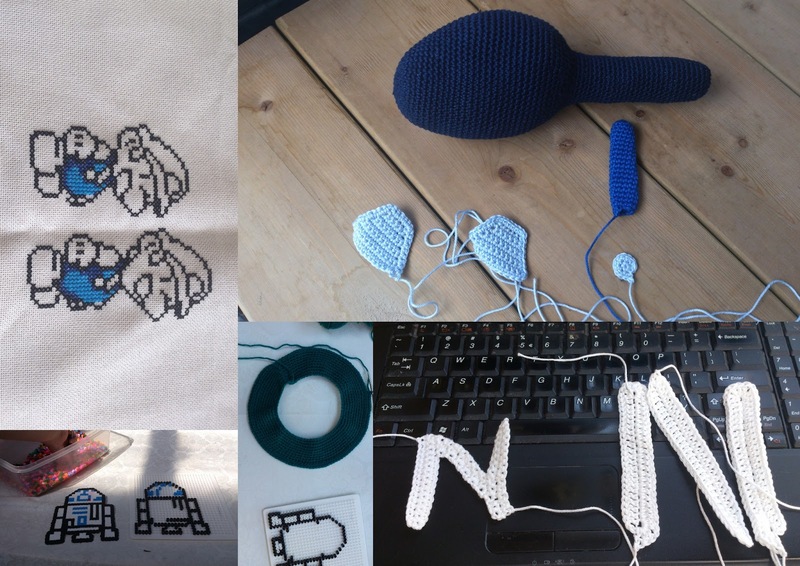 How time flies :) You are such a great mother, Annette, to create all these fun things for his room. And your photos from Antwerp are lovely. Looks like Kira's hair is turning more and more blonde with the summer sun--she is adorable!